Thursday, Nov. 29, 2018, 6 – 9 p.m.
KODX-LP is located in the basement of the University Temple United Methodist Church, 1415 NE 43rd St, Seattle, WA 98105. Enter through the ramp down to the north entrance doors on 43rd. 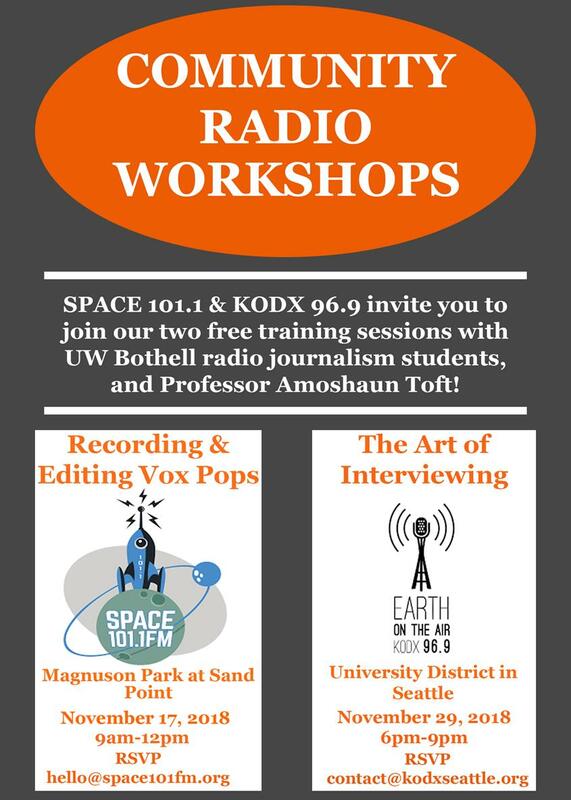 Students in BISMCS343D Community Radio Journalism and IAS Faculty Amoshaun Toft are excited to facilitate a workshop at 96.9 FM KODX-LP in the University District, on Thursday Nov 29th from 6-9pm, where you can learn about prepping and conducting recorded Interviews.